Sometimes shows collapse. This can happen before performances even begin (as with the planned arena tour production of Heaven on Earth in 2017), or soon after their tours begin and producers summarily pull the plug. This just happened with the planned tour of Dr Dolittle, which ends this weekend in Oxford, nine months earlier than planned, after what the producers called “lower than anticipated advance ticket sales”. Both are failures of financing. In the first case, the failure to secure full capitalisation before hitting the road. This is irresponsible producing as it puts people’s livelihoods on the line when they believe they have secure employment. In the second case, the failure to meet costs going forward. Doing so would be a more responsible approach to cut down on losses before further liabilities are incurred. But that is the business of showbusiness – producers always reserve the right to end a run early, hence the two-weeks notice clause in every actor’s contract. What can’t be anticipated, though, are the shows announced and launched in good faith that then fall victim to the machinations of other producers. 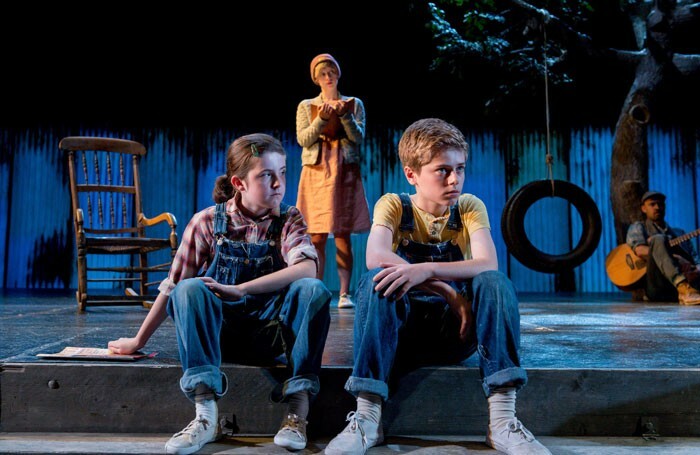 This week, it was suddenly announced that a new commercial tour of an often-produced stage adaptation of To Kill A Mockingbird – previously staged at the Open Air Theatre, Regent’s Park in 2013 and then revived at the Barbican and toured in 2014-15 – had also been abruptly cancelled. The tour had long been planned – it was originally announced last July and was already in rehearsal before it was due to be launched at Curve in Leicester on February 7. But last November a brand-new version, written by Aaron Sorkin and produced by Scott Rudin, opened on Broadway. This week, Atticus Limited Liability Company – the company formed by Rudin to produce it – asserted worldwide exclusivity to the professional stage rights to Harper Lee’s novel. Rudin had already previously litigated with the Lee estate last year after Sorkin had made changes to the storytelling that the estate did not approve of, but having settled that dispute to enable his production to go ahead, he has now actively sought to suppress an old version, which had already been licensed to Jonathan Church Productions by Dramatic Publishing Company who held the rights in it. In a statement, Jonathan Church Productions have said that “there appears there may be a difference of opinion as to exactly what rights were originally conferred to Dramatic Publishing Company in 1969 by the Harper Lee Estate”. It sounds like a game of theatrical brinkmanship, in which the UK producers blinked first. A single week in Kingston, which is as close as the UK tour gets to London, was hardly going to impact on any future West End production of the Sorkin version – let alone a run in Aberdeen or Inverness or Malvern. To threaten not just the producers, but every single venue – and to leave it until the show was already in rehearsal before making contact even though it was announced more than six months ago, seems intended to test their nerve. Legal action could be costly and protracted, so I can understand the UK producers not daring to take on Rudin. I understand Rudin and his Broadway investors want to protect their investment, but there is surely room for more than one version. In April, for example, there will be two new separate productions of Arthur Miller’s All My Sons playing simultaneously on Broadway and at London’s Young Vic. It seems strange that a story which is about honour, equality, justice and compassion should be the subject of such an act. One wonders what Atticus Finch himself would make of it all. Meanwhile, it is the actors and crew – the people who are at the bottom of the food chain of power, but who breath life into a play – that will now pay for this, in every sense. They thought they had jobs until June and may well have turned down other opportunities to commit to the tour. Now they have to hit the job circuit again.